Welcome to the page with the answer to the clue Name. This puzzle was found on Daily pack. 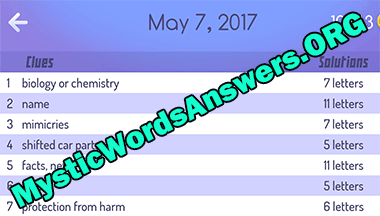 Click to go to the page with all the answers to Mystic words May 7 2017. This puzzle was found on Daily pack. 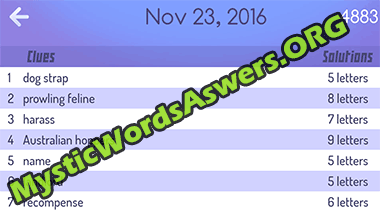 Click to go to the page with all the answers to Mystic words November 23 2016. This puzzle was found on Daily pack. 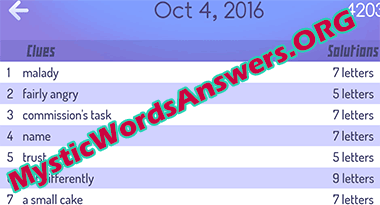 Click to go to the page with all the answers to Mystic words October 4, 2016. Welcome to the page with the answer to the clue Maradona, name. This puzzle was found on Pink pack. Click to go to the page with all the answers to Mystic word Pink level 24.